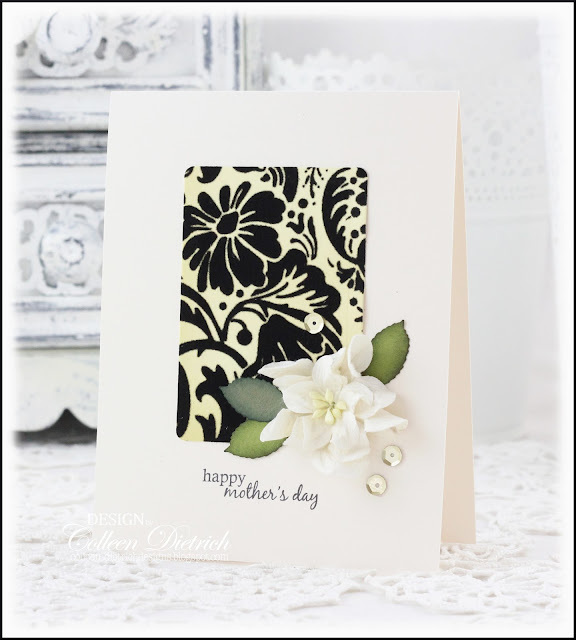 The card you made for your mom is elegant and striking Colleen! I like the second version too. That little leaf is cute, might have to look for that punch!! They are both gorgeous!! LOVING the flowers on them!!!!!!! WOW! 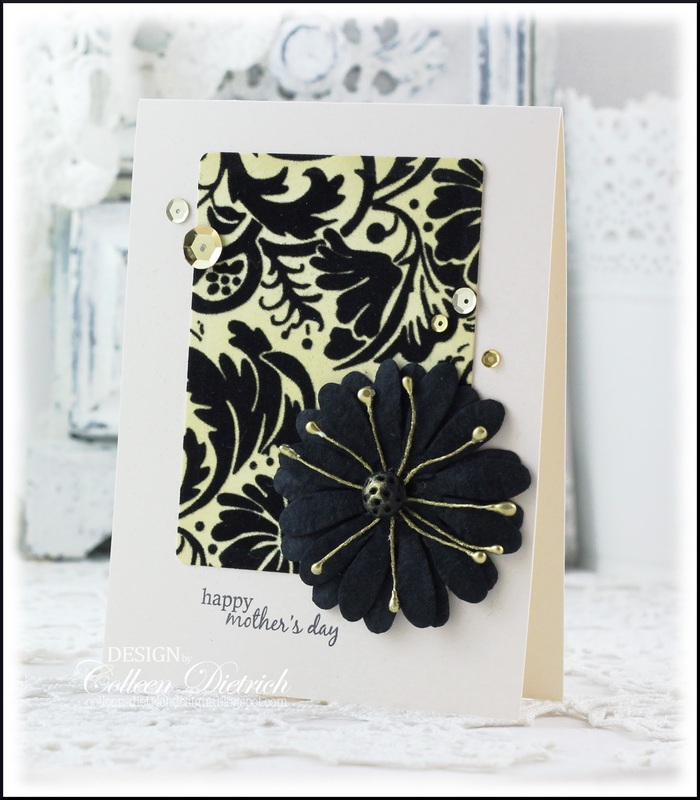 Colleen I really and truly did say wow when I saw the first card with black flower! I kept staring at it for a bit, literally I could not take my eyes off of it! So simple, yet so striking and elegant!!! You are a queen of elegance my dear!!! Ohhhh, totally elegant and I love them both. I remember that your mom loves black. My fave is the second with the pretty cream flower.